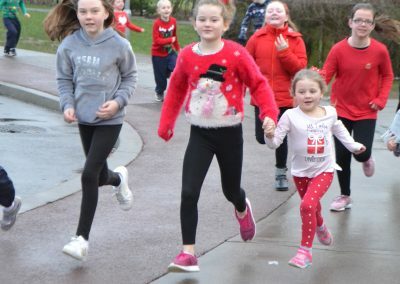 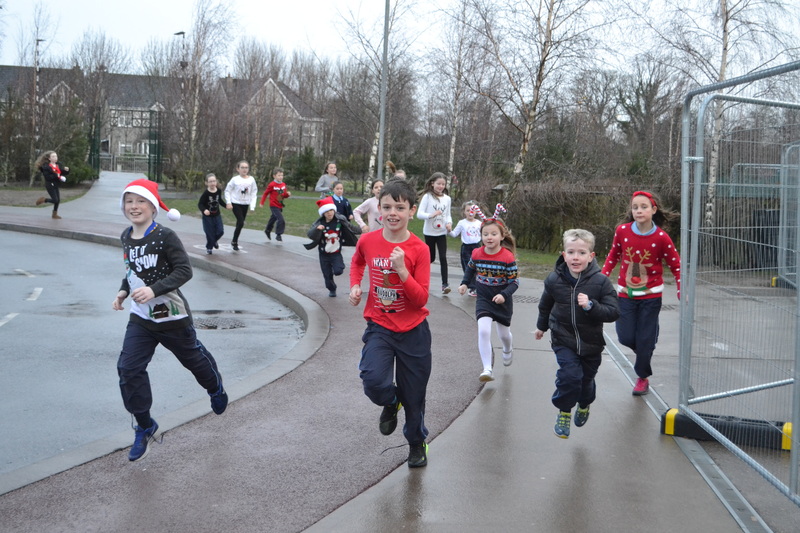 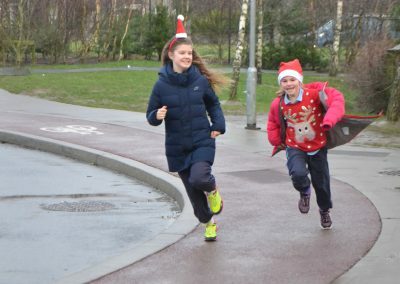 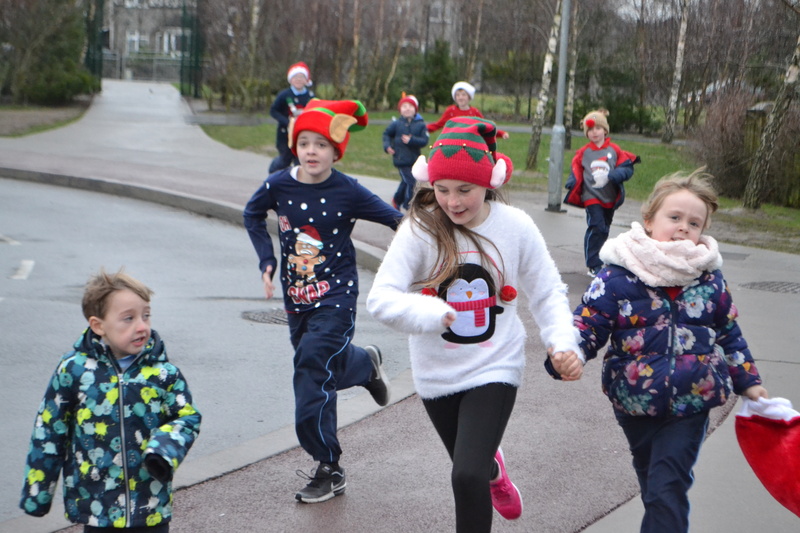 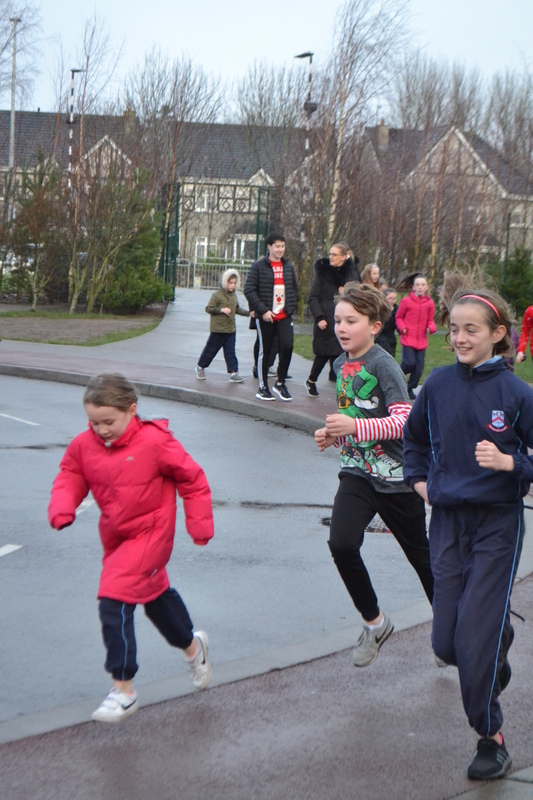 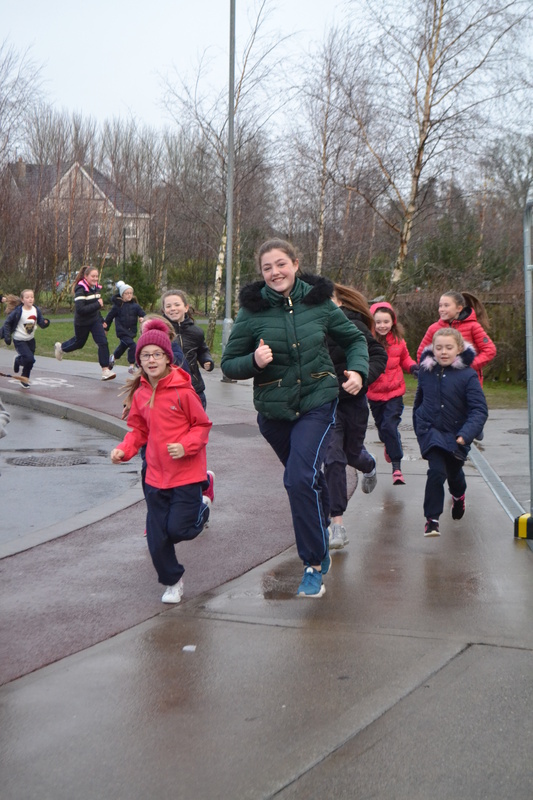 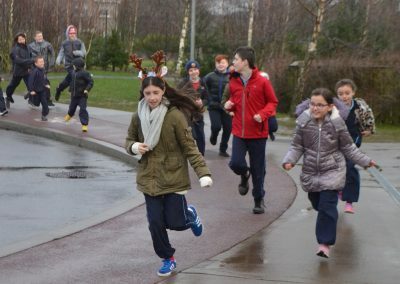 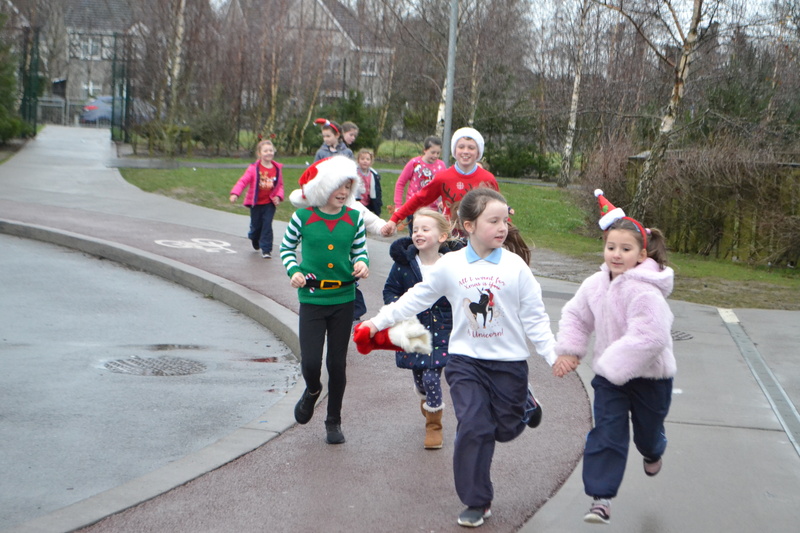 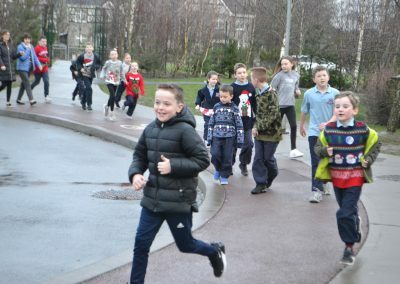 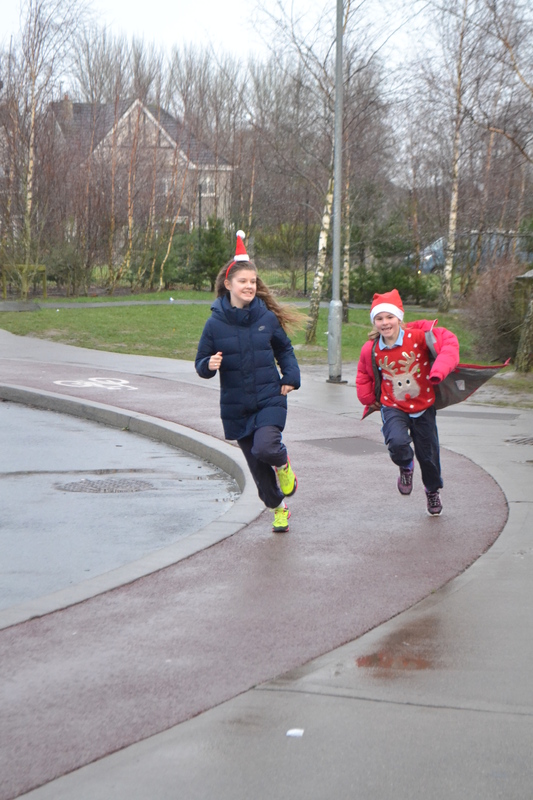 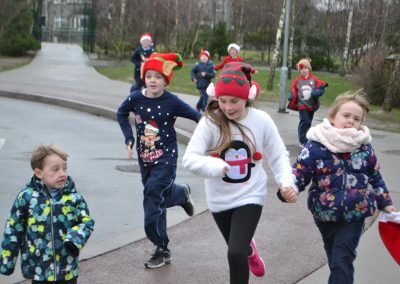 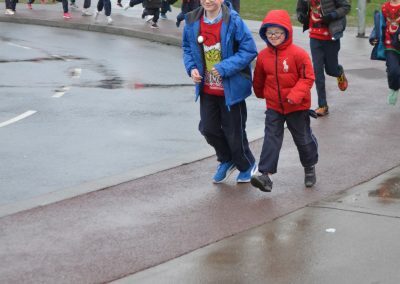 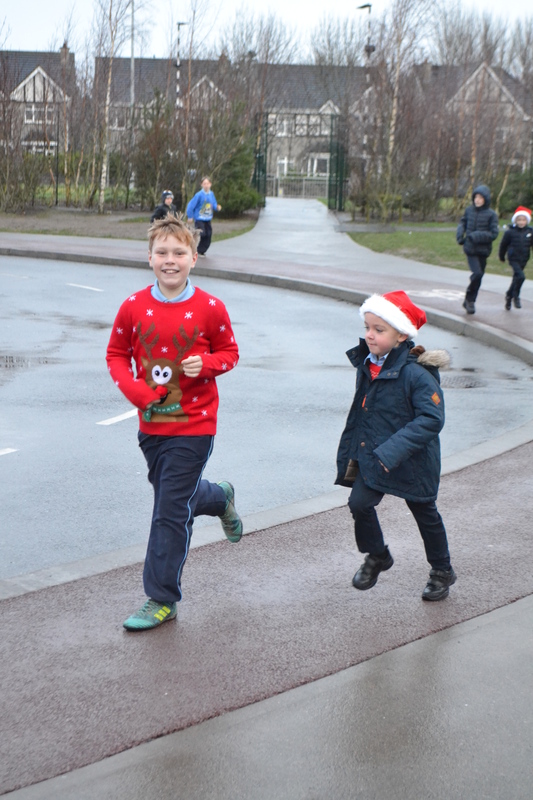 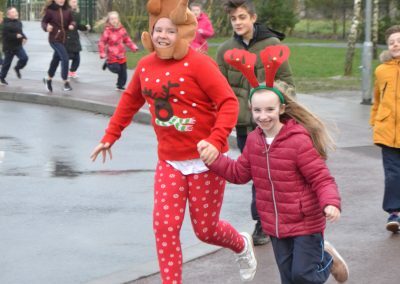 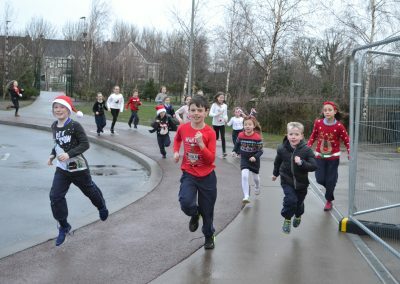 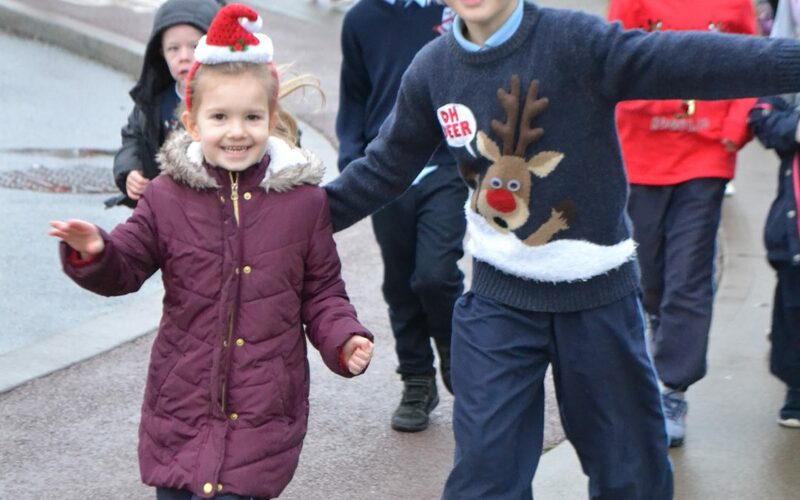 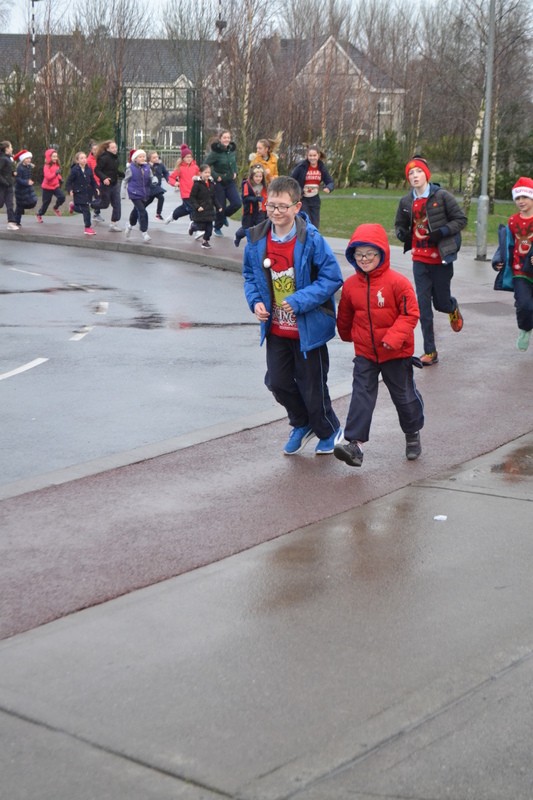 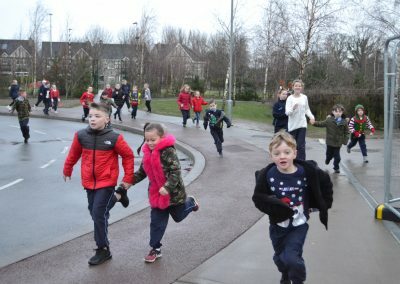 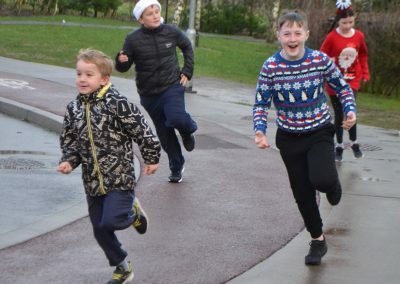 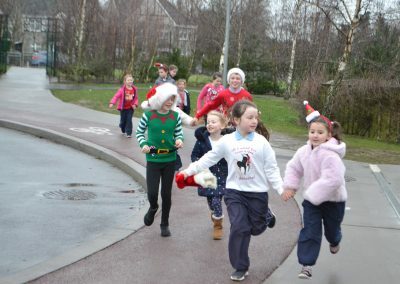 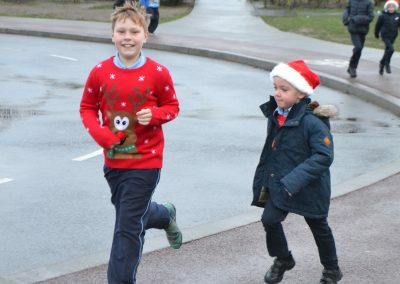 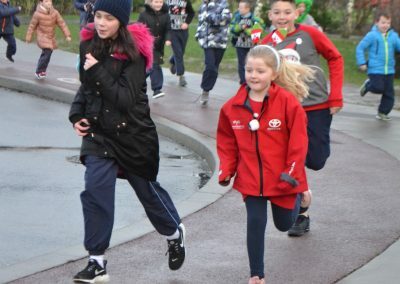 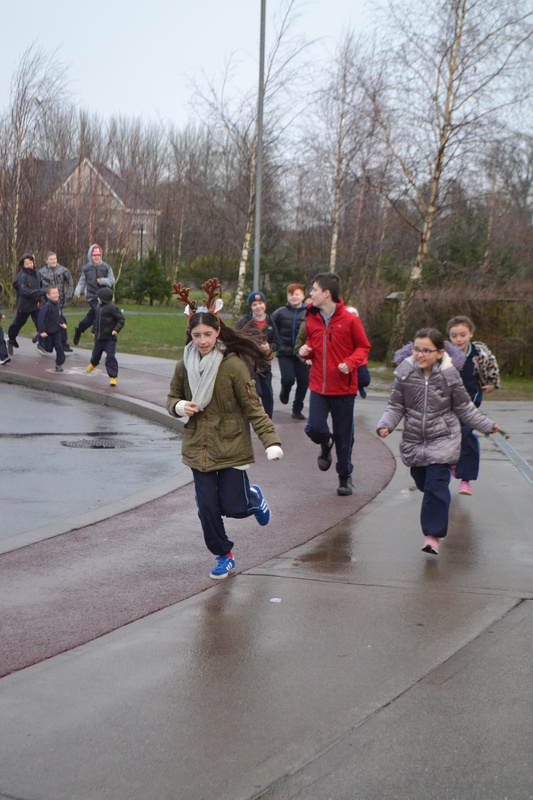 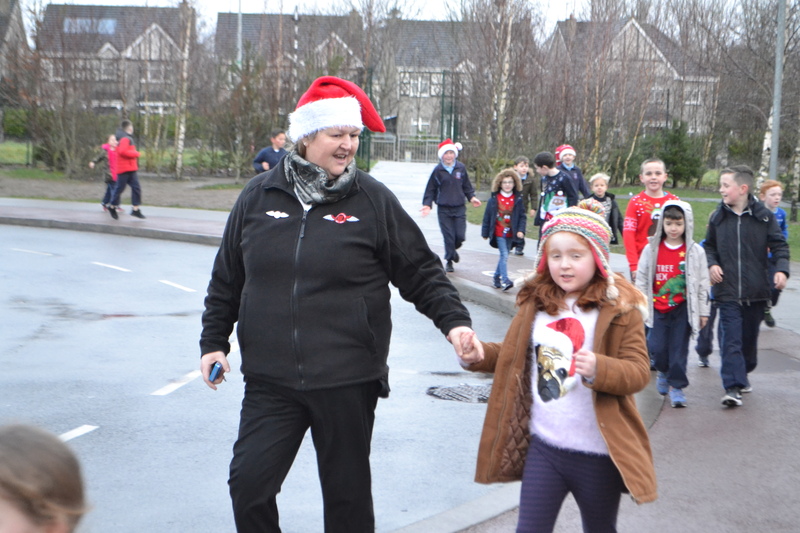 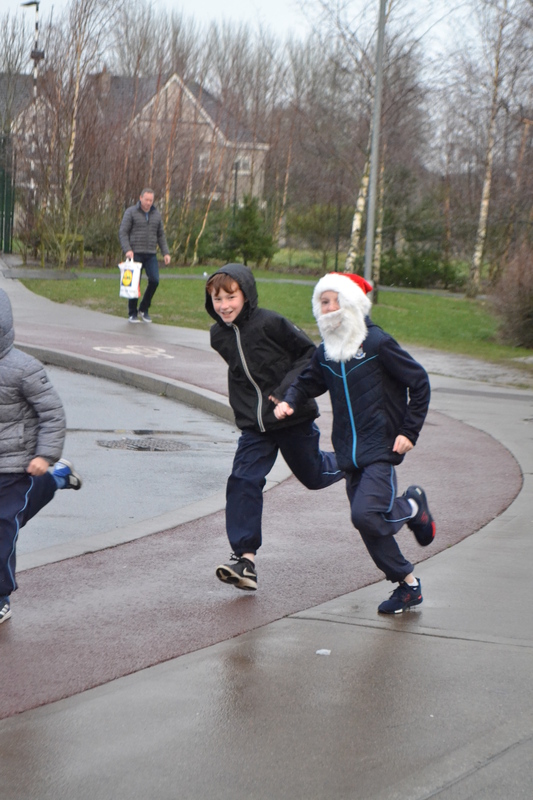 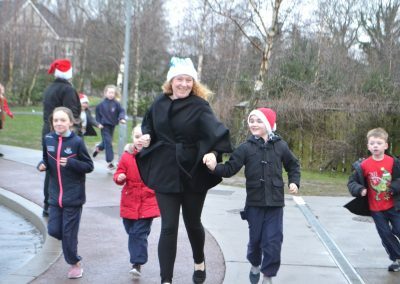 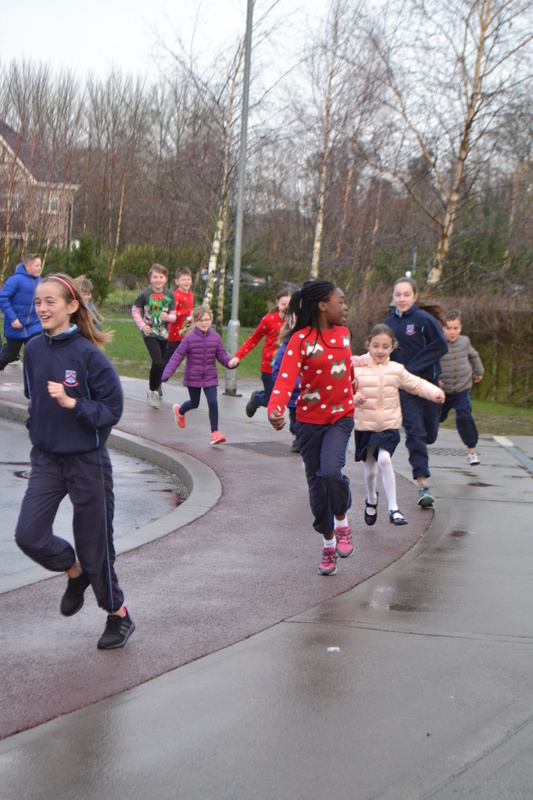 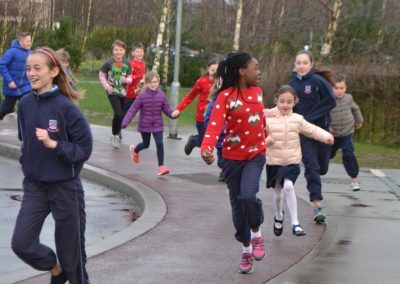 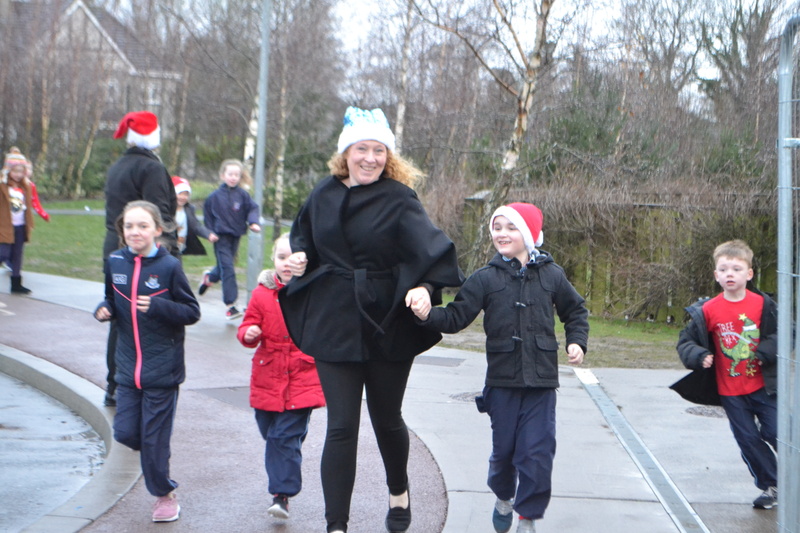 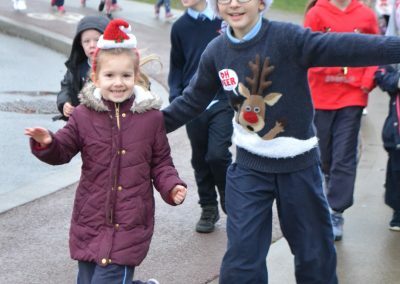 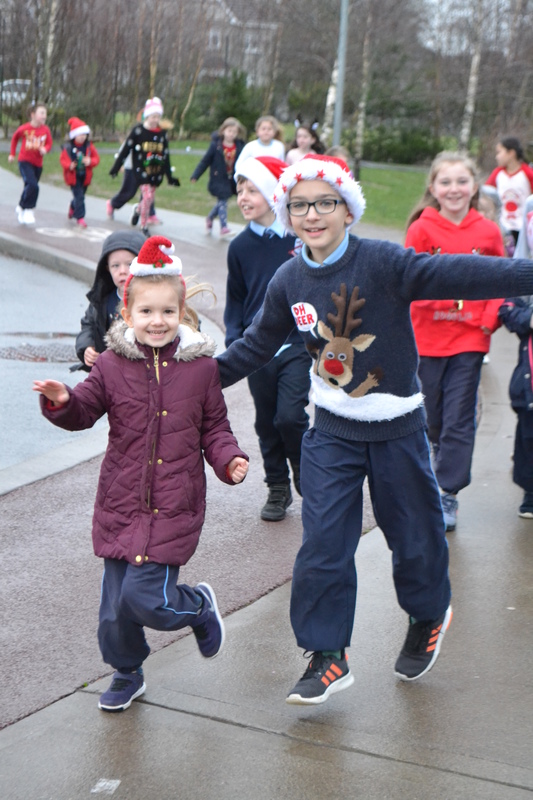 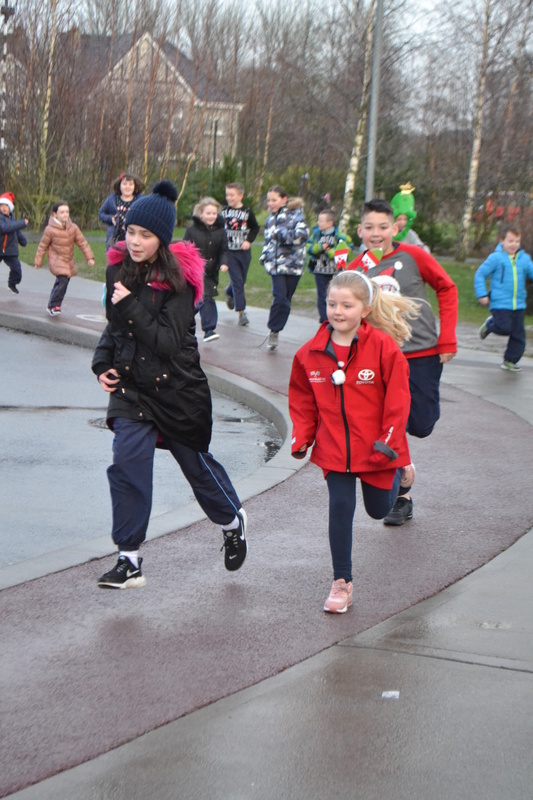 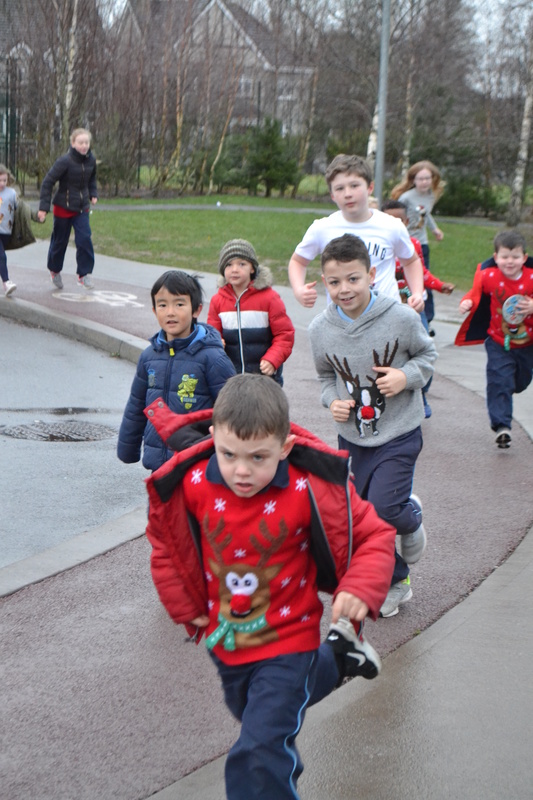 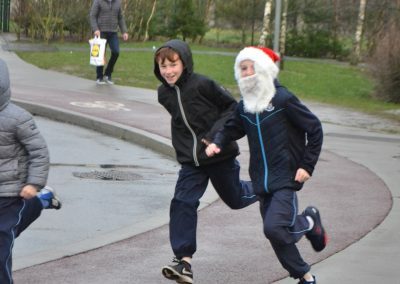 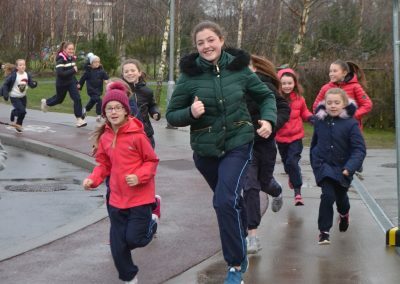 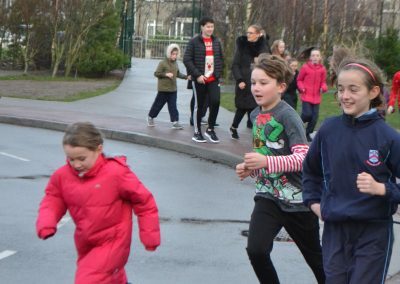 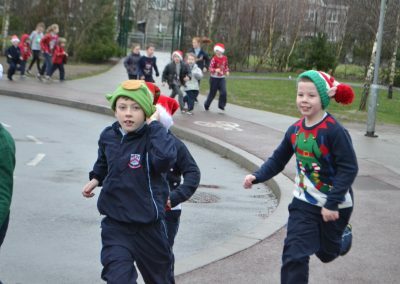 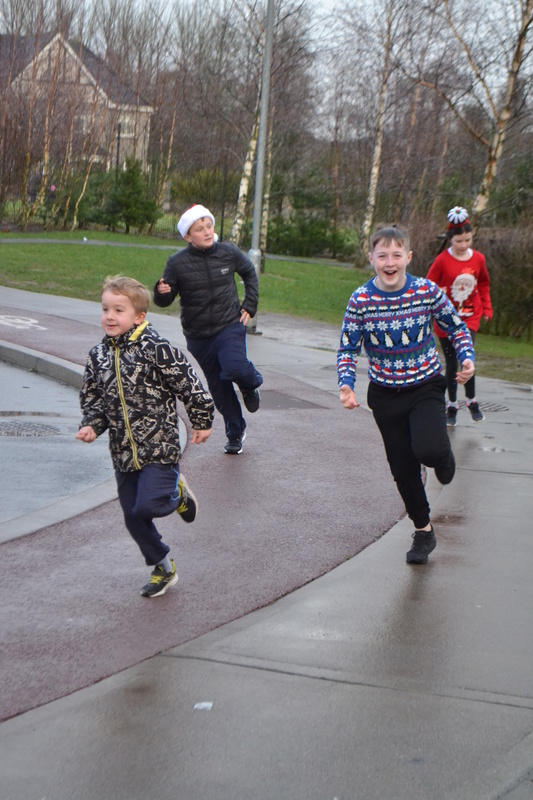 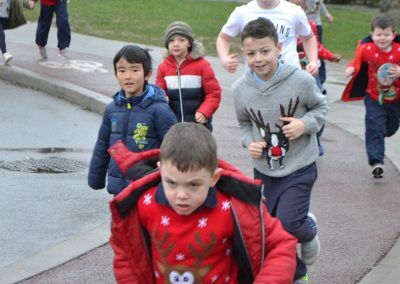 On Friday 21st December, the children of St. Paul’s took part in a Santa Run on the school grounds. 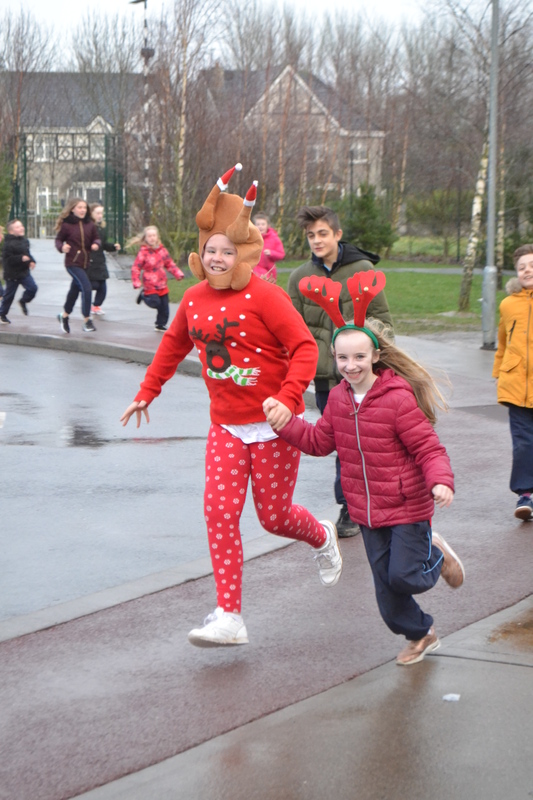 All children wore their school tracksuits and something festive. 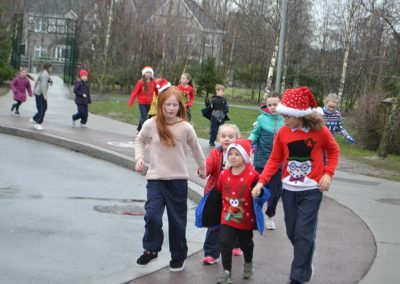 The children turned up very excited wearing Christmas Jumpers, Christmas Hairbands, Santa Hats and all looked very festive. 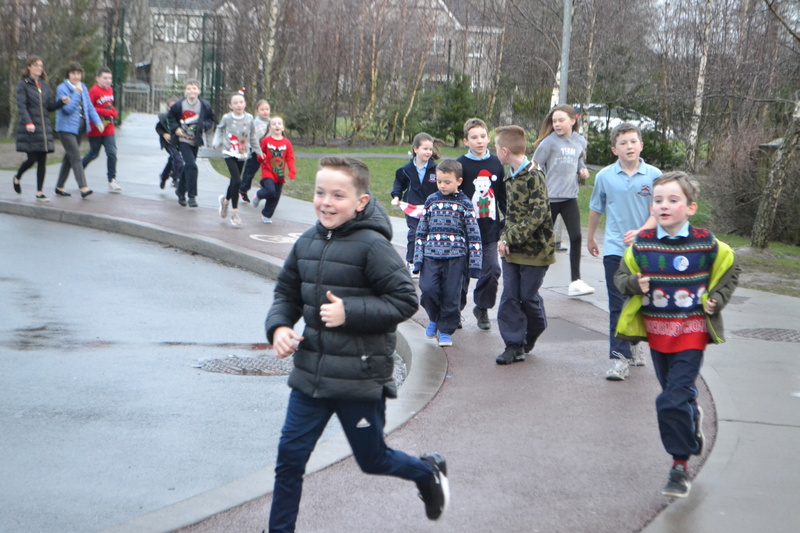 The Active Committee co-ordinated a fantastic Santa Run. 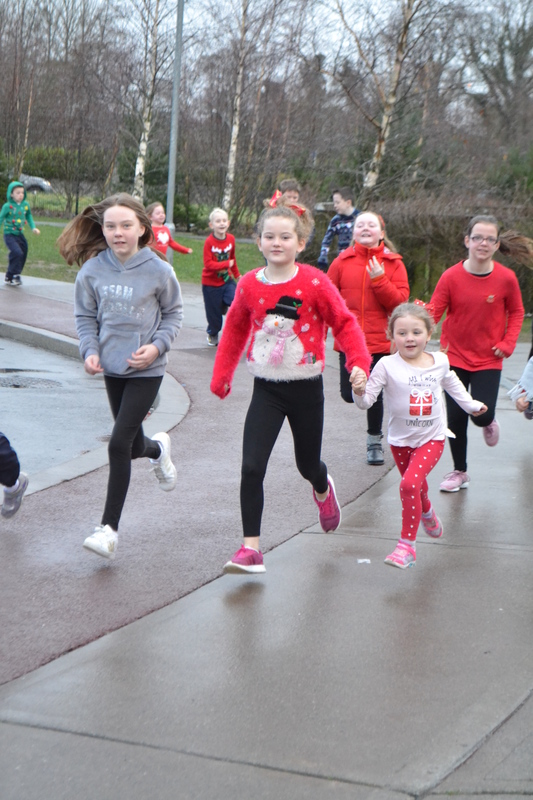 They called two year groups to the yard and then paired a Senior Class child with a Junior Class child prior to taking on the run and each pair were to complete two laps of the yard together chatting, singing Christmas Carols and Songs. 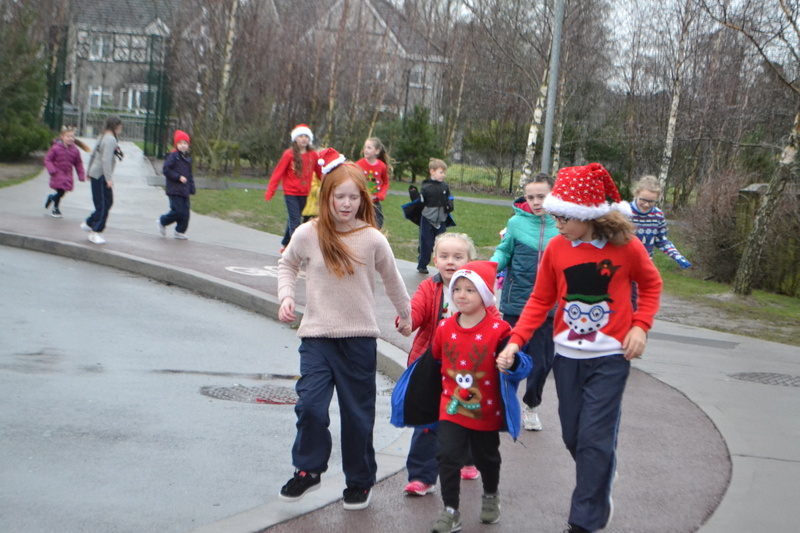 The class pairing were as follows: Sixth Class with Second Class, Fifth Class with First Class and Room 26, Fourth Class with Senior Infants and Room 25 and Third Class with Junior Infants. 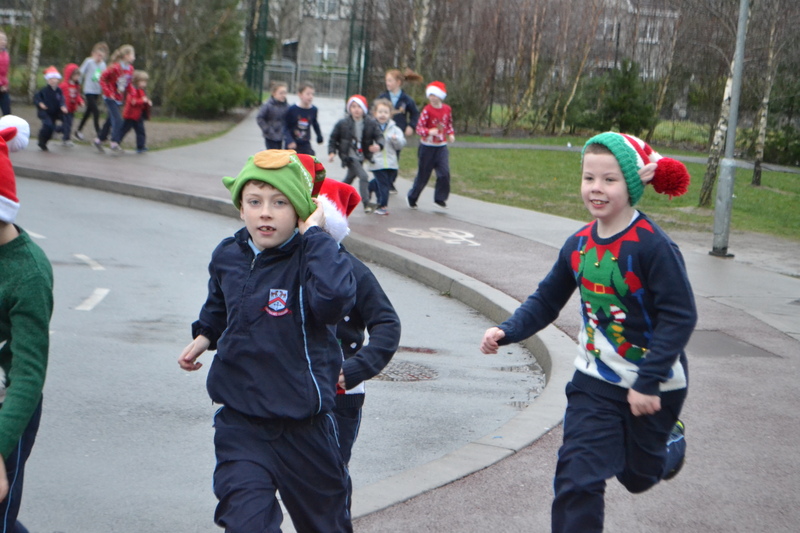 Have a look at some of our pictures from the day thanks to Ms O’Toole.